Do you or your sales team need to sell more? You probably do. I mean every business needs to sell more. Have you ever thought about using video to help? If you have, kudos to you! A video is ubiquitous, it’s everywhere. Your customers are probably expecting it from you. But how do you go about taking your videos to the next level, so they actually help you sell more, and not hurt you? To learn how keep watching. A video is a tool, a powerful tool to help you sell a product or service, a business, or an idea. It’s powerful because once it’s recorded, it keeps working for you and allows you to be in many places at once. You can reach a broader audience, scaling your sales efforts. So we agree a video is a great tool, but how do you go about doing it? There are three ways, three tips that I’m going to share on how you can be using video, and I want to break each of them down of how you can then apply it when you’re creating a video. Tip #1 – Make sure it’s visually engaging and entertaining. 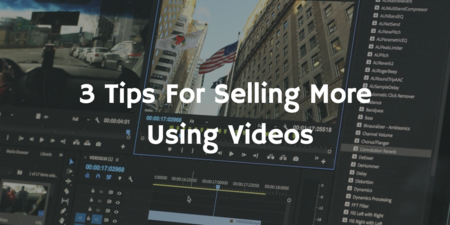 The first step to selling more using video is, make sure it’s visually engaging and entertaining. A video is obviously a visual medium, you’re seeing something. And so, in order to really utilize the power of this platform and medium, you need to make it visually engaging and stimulating to watch and be able to show off your product and how it works. Ideally, if it’s a product that is visually engaging, that’s great. Using video to be able to go somewhere to show something to someone who can’t normally see it helps make it visually engaging, like showing off really cool b-roll or animation. A successful area for video is when it is used to take a complex idea and break it down to understand using simple or more advanced animation. But what if your product or service is not visually engaging? What if it’s not interesting to look at or see? What if you’re just talking about it and you don’t have a budget for the animation stuff? Well, then just make it entertaining. Make sure the person who’s on camera and who you’re watching is engaging and entertaining to watch. Ideally, pick someone within your company that is approachable and likable on camera. If they’re not, you can still choose someone with the potential of it. It’s a skill you can grow in with enough practice. We’re used to watching TV and YouTube videos because they’re entertaining and we like to watch them, so you can still apply the same concept to your own videos in your business. Just make them entertaining and engaging. But if the content is not entertaining and you can’t make it visually entertaining or engaging, you may not need to make a video. Maybe just having it as text will be just enough. The video doesn’t need to be used for everything. 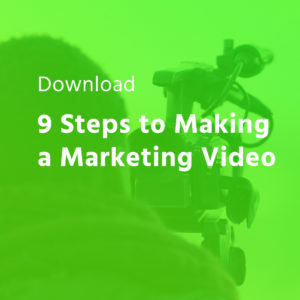 The second tip to using video to sell more is understanding and utilizing the power of human connection. All right, you’re like, “come on Alex, what the heck is this human connection?” It’s the ability to see another human being and connect with them on a personal level. This is where text fails miserably. You can’t just read something and be able to understand and feel them. 93% of the way we communicate is nonverbal. It’s our vocal inflection. It’s our body language. This helps sell because people buy something based off of emotion, not just by saying “Well, I think I should buy that, so I’ll buy that because of all this data and facts.” Most often, it comes down to just the emotion and the human connection that is that powerful, powerful tool that you should be utilizing and your salespeople should be utilizing. Take it the next level with one-on-one customized videos. Use tools like BombBomb or Soapbox or GoVideo. All these tools are Chrome extensions that you can use with your webcam and just have a conversation with somebody one-on-one. In today’s age where anybody can just throw up a website and have a company and say “Now buy my stuff!”; people are like “Hmmm…I don’t think so.” Too many times we’ve been burned so we’re unsure. That’s where the video comes in; it helps with the authenticity. You can’t hide behind showing your face. You can’t fake real video, not quite yet. So when somebody is able to watch a video and see the people behind the company, the opportunity for sales increase dramatically. Tip #3 – Use the power of storytelling. The third tip to using video to sell more is using the power of storytelling. testimonial, a case study, or a customer success story; it has many names but the idea is for a past customer to share their experience with you on video. This again helps with that human connection and it helps your potential customer watching this video to imagine themselves in that person’s shoes and say “Well if I was to work with your business or buy your product, then I could feel like this person.” Having that story engages your potential lead. 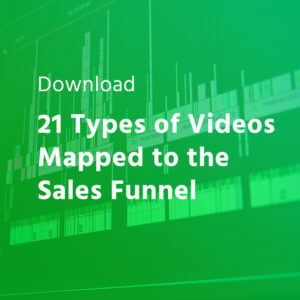 Combining storytelling with a video being a visual medium and the power of the human connection, it all builds and someone says, “Wow, I should really buy that!” It really helps in the sales process. So a customer testimonial is a fabulous place to start and it is easy to roll out to your sales team. They should be capturing it on a regular basis and you can up the production value to make it even more visually engaging, but it’s still good to get them even if you can’t afford a full production, it’s still the story that matters. The content is where it starts. I’ve even seen where people take just an audio file and what they do is then animate the story afterward. So if you don’t have good visual footage that was recorded, you could go back and create an animation that tells it. Another story you can tell is your own. Now, this could be your team members, your leadership, your sales team, or the company’s history. Telling a story of how you got to where you are can be another good sales tool. Now, this only comes into play when the potential customers actually care about you and your company, but if you look at the sales funnel, it helps in the consideration and decision stages. Telling your story on video is a powerful tool and because of the efficiency of it, when you record it once, you can share it over and over again, scaling your sales efforts. Keep it visually engaging and entertaining. Don’t be boring! Utilize the power of the human connection. Show your face! Tell stories. Your customer, your business, or your own. Please subscribe on YouTube, Twitter, and Facebook for more great tips and information on making better business videos.